Thank you so much for all you have done to help us arranged everything. Yes! We all had a great and wonderful time in Japan! We can't describe how great experience we had during our tour of Japan. I will definitely refer to our friends about your Japan Deluxe Tours. PS. Your Tour guide "Hide-san", he is great and recommended tour leader! We are all very satisfied and blessed to have him as our tour guide. 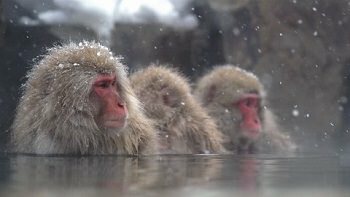 Bask on the beauty of winter season with a trip to the snowy mountains of Nagano. 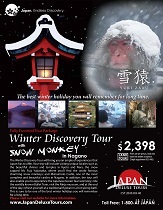 The Winter Discovery Tour includes visits to Osaka, Kyoto, Nara, Hakone, Mt. Fuji, Tokyo, Matsumoto, and Yudanaka.